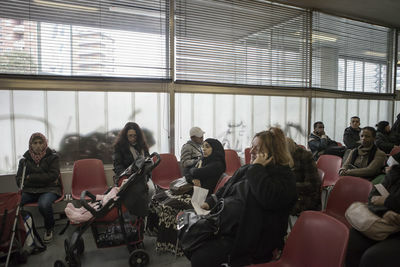 This is the story about the families of migrants and Italians facing the crisis with unemployment, high costs of life, and the precarious situation of losing the basic right to housing. Maria has lost her job recently and was evicted from her home two months ago. Now she’s hosted in an emergency shelter run by a local organization. Edy was evicted last December and has a new born baby girl only a few months old. The society for whom she was working did not pay her salary for many months and in few months time her contract will change from full time to part time so her salary will decrease. Now she is staying at a friend’s apartment. 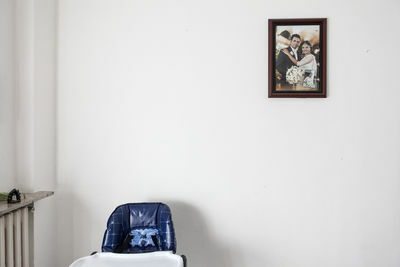 Valeria and his husband Mario used to work as gatekeepers in the villa of a wealthy family. After their layoff, they live with the retirement plan of Valeria. Mario and his son are currently unemployed. After their eviction, an association found a temporary accommodation for them. The Mauhay family in a hotel, just after the eviction. The municipality pays for a hotel accommodation only when the evicted families ask for an emergency procedure. If their request is judged positively, then they receive a temporary accommodation before of their housing project apartment. The Mauhay family waiting for the police officers to evict them from their house. The Girardi family: Flavio, Rosaria and Nancy. Flavio works occasionally with a terminable contract, and Rosaria works as a temporary employee in a school. They are under eviction. Peppe is unemployed, and is living in Milan. 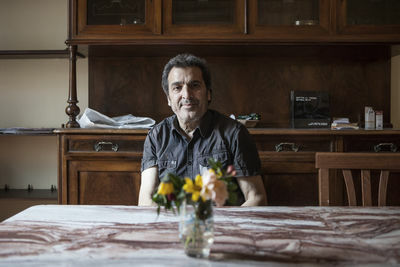 He was evicted last January, and after that he decided to go back to Naples, his hometown. 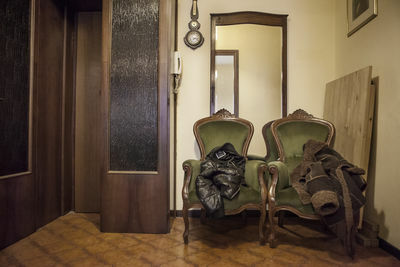 Interior of Peppe's house. He is waiting for the eviction with his partner. 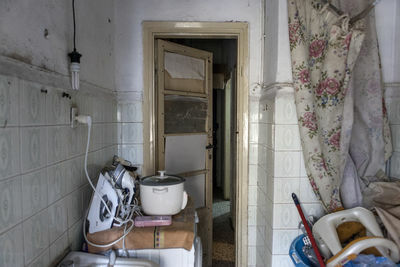 The two-room apartment of the Al Badaui family. Genny works occasionally. Her partner is an illegal immigrant and they are under eviction. The social services took away her disabled son because she doesn't live in a safe place. A sit-in of no-eviction committees in a condominium where around ten evictions are soon to take place. 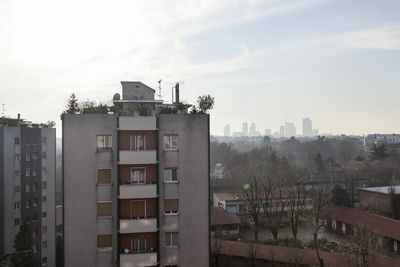 Pina Cortese shouts against the landlord of some crumbling 20 sq.m apartments where the monthly rent is 600€. 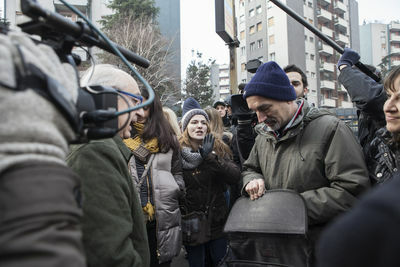 Maria on the day of the eviction. She used to live in a 15 sq. mt. Studio-flat, but since she has been fired she has been unable to pay the rent anymore. 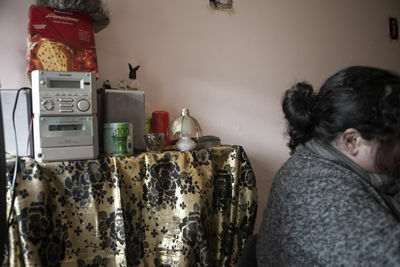 Edy was evicted from her house last December, even if she has a daughter who is just a few months old. She doesn’t receive any wage from the society she works for, and in a few months her contract will switch from full to part-time. Mauhay’s two-room apartment. Five of them used to sleep in this room; Adrian, the oldest son, slept in the living room. 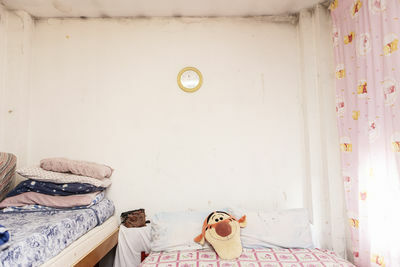 The bedroom of the flat where the Mauhay family used to live. 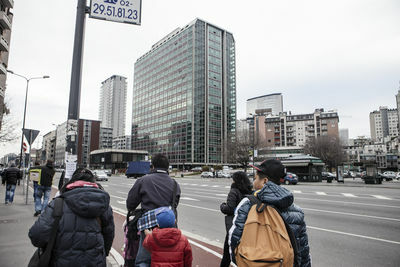 A building in Milan, where six notices of eviction were given to the families. 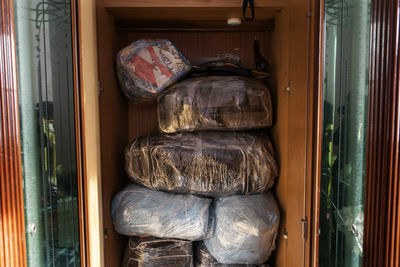 Maram Al Badaui is seen packing her suitcase on the day she has to leave her house. The municipality office that deals with the housing project and the evictions. The housing conditions are often unbearable: systems are not compliant with current regulations and masonry are deteriorated, but rents do not seem to decrease. They have been living for 8 years in Italy. He lost his job. His wife is not eligible for the Italian visa as she is unemployed. A few days before the eviction, they decided to move back to Egypt. 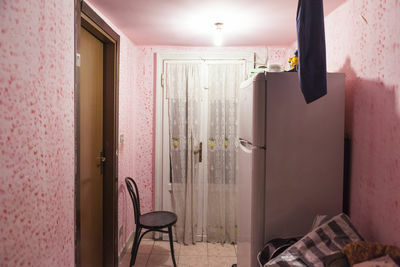 Cadija lives with her 18 years old son in a 25 sq. mt apartment. She lost her job, and her son is attending a professional high school. 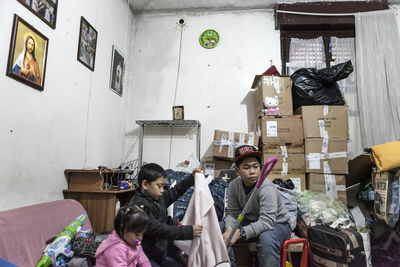 They live in a two-room apartment, and they cannot afford the rent. They will be evicted soon. 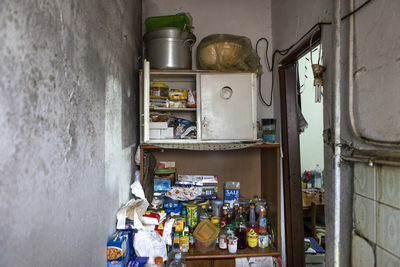 The kitchen of a 30 sq.m two-room apartment that is under eviction. 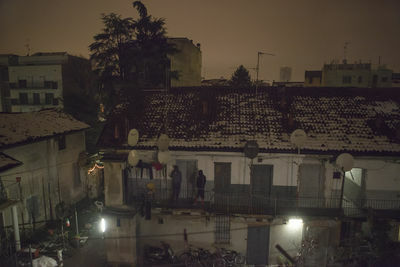 Exterior of a house under eviction in the north of the city. Mary and Nathaka Serasinghe in a foster home, where only women and children can be accommodated. After the eviction, the municipality social service relocated Mary and her son Nathaka to a foster home. The social worker explained that the law is for the protection of the child. This forces them to settle without Mary's husband in the housing. The Serasinghe family are going to the municipality office that deals with the housing project and the evictions. 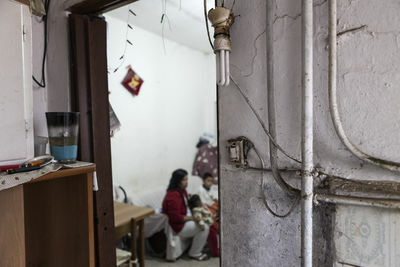 Kumara, Mary and Nathaka Serasinghe used to live in a 40 sq.m. two-room apartment, paying 600 euro for month. 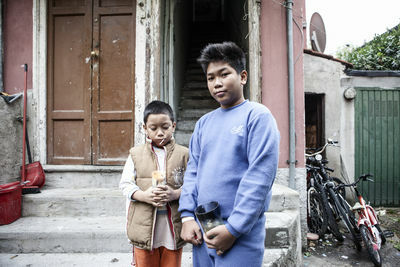 Mary is out of work and Kumara is a day laborer in a store in the outskirts of Milan. For legal immigrants, in fact, the registration of the lease is required to obtain residence and renewal of the "residence permit". When they applied for registration of the contract house's to get the "residence permit" of Mary, the owner increased the rent, at which point they are no longer able to pay the rent and arrived the notice of eviction. 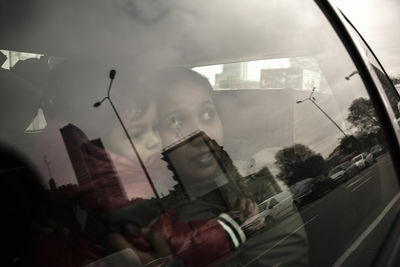 Kumara and Mary Serasinghe are from Sri Lanka and they came in Italy eight years ago. They are, as many others, victims of the illegal rent black market. It is estimated that in Italy between 500 thousand and one million apartments are rented in black, resulting in a high tax evasion. For legal immigrants, in fact, the registration of the lease is required to obtain residence and renewal of the residence permit. The Mauhay family are going in a hotel, just after the eviction. 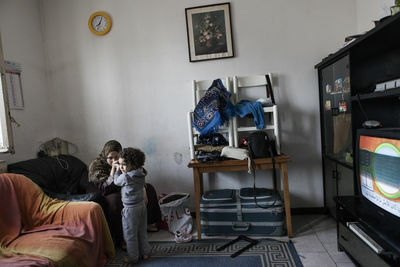 While they are waiting for the Aler (private entity for the management of public housing) to define their position, the municipality of Milan will take over the temporary accommodation in hotel for Mardy and his sons, but Arnold will have to pay for his stay until the final assignment. 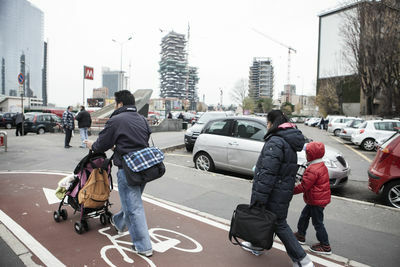 They are waiting for many months the allocation of public housing. The Mauhay family inside the municipality office. The Mauhay family are going to the municipality office that deals with the housing project and the evictions. 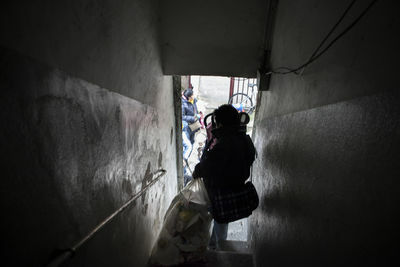 The stairway of a block of flats totally occupied by migrants. 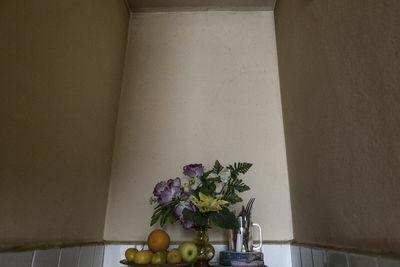 The two-room flats are crumbling down to piaces and not complying with the law. The renting fees are too high for the economic possibilities of the families. 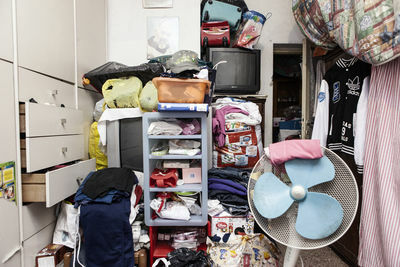 Alessa Mauhay is seen inside her house during the eviction. The bathroom of the Mauhay family's house.